Biografisches Osterrätsel 2019: Wer wars? When you think of the term puppy training the word fun probably isn’t the first thing that comes to mind. But what if I told you there are some fun games you can play that will help train your pup? Well it’s true, and the best part is they’re all pretty simple to play. 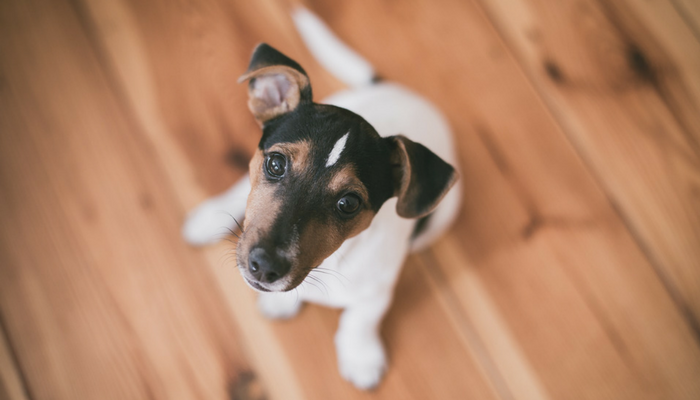 Interactive games are great for puppies — they’re mentally stimulating, they help with teaching some basic manners, and they’re a fun way to strengthen the bond with your new dog. 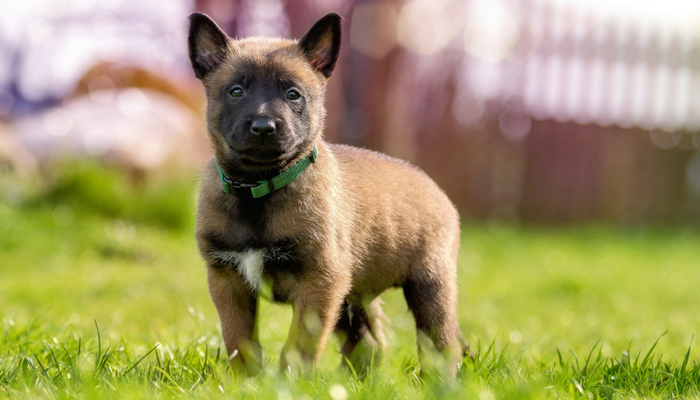 From reinforcing a reliable recall with the “come here” game to working on impulse control with tug of war, here’s 5 easy puppy training games. Tip: As with all things puppy related one thing to keep is mind is that their attention span is limited. Keep these games short and sweet, and remember to stop before they have a chance to get bored and/or frustrated. Now I know what you’re thinking — how is teaching my dog to “come here” a game? The truth is teaching your dog to reliably come when called can be a challenge, but turning it into fun game can help reinforce the behavior. And if you can get the help of a few friends you can turn the “come here” game into a game of “pass the puppy” for some extra socialization. The come here game is easy to play, and the best part is it’s a nice way to teach your dog that good things happen when they “come here.” If you’ve ever dealt with an adolescent dog you know how challenging it can be to get their attention — so teaching your dog that “come here” equates to “yay fun times!” when they’re a puppy can help out later on. Like the come here game, pass the puppy will help reinforce a reliable recall. And since it relies on more than one person it’s a good way to get in some extra puppy socialization since it’s a fun and positive way to introduce your pup to new people. One of my favorite ways to get in some extra puppy socialization is a game of pass the puppy since it’s a positive and fun way to introduce your dog to new people. One easy game you can play with your puppy is called the which hand game. It’s a mentally stimulating nose work game that’s good for teaching your dog some basic manners when it comes to dealing with treats. The only thing you need to get started is some dog treats; if you don’t have any on hand you can use some chopped up fruits and veggies (that are safe for dogs) or make some of your own homemade dog treats. Place a treat in one of your hands. Close your fists and hold them out in front of your dog. Let the dog choose which hand it’s in. When your dog sniffs or paws the correct hand open it up and give them the treat. When it comes to the last step it’s up to you to decide what sort of signal you prefer from your dog — whether it’s a gentle sniff or paw. With Laika I prefer sniffing since her “gentle” pawing is still pretty rough, so she only gets the treat when she gently sniffs the correct hand. If your dog is getting too excited over the treats and biting at your hands or clawing your arms I recommend working on the “It’s Yer Choice” game (see video below) first. It’s an impulse control game that teaches your dog to be gentle when it comes to dealing with treats. Nose work games such as “find the treats” are a great way to stimulate your dog’s mind and help them hone in on their natural sniffing abilities. It’s a great game for puppies because it’s mentally and physically stimulating, it helps build their focus, and it can help boost their confidence by teaching them a new skill. Plus it’s a really fun way to bond with your new dog. And since you can teach your dog to “find the treats” in your home it’s great for puppies since you’ll be working in an environment that isn’t too distracting. As far as the game of “find the treats” goes it’s simple enough — it’s teaching your dog to dog sniff out treats you hide around the house. Now when you’re first starting out you’ll want to make it easy on your dog until they start to get the hang of it. Have your dog sit in the stay position while you go around putting a few treats in a couple different spots throughout the room while they watch you. After you’ve placed them come back to your dog and tell them to “find the treats.” Remember to keep it fun and positive by praising them every time they pick up a treat. Once you’re dog has a good idea of what “find the treats” means you can start hiding them in more challenging spots such as under rugs and on furniture. After some practice your dog will start using their natural sniffing abilities rather than visual cues to find all those treats. Once your dog is a pro you can even start working on it in more challenging (and distracting) environments such as the yard. Find the treats is a mentally stimulating game that will help improve your dog’s focus. And since treats are the only thing you need to play it’s easy to play in different environments. Hide and seek is another one of my favorite puppy training games. It’s fun, it’s mentally stimulating, and it’s a great way to practice your dog’s recall. If your puppy doesn’t have a good stay command down you’ll want to work on that first. If you have a friend around you can also enlist their help to hold your dog while you hide. To avoid frustration remember to keep it simple for your dog by hiding in some easy spots at first. After they get the hang of it then you can move onto hiding in some harder to find areas. My dog loves hide and seek, even though I’m not creative enough to come up with more than 3 different hiding spots. It’s a great interactive game that lets your dog use some of their natural scent tracking abilities in a fun and stimulating way. When it comes to puppy training games tug is one of my favorites. It’s great physical exercise, it’s mentally stimulating, and it’s great for teaching your dog some basic impulse control and manners. And since it doesn’t requite a ton of space you can play it indoors. And contrary to what people say tug of war will not make your dog aggressive, nor will letting them win will not make them dominant. Letting your dog win actually makes the game more fun for your dog, and it will encourage them to keep on playing. Research has even found that dogs who play tug of war with their owners tend to be more obedient and exhibit higher confidence. Now depending on your puppy it might take awhile for them to get the hang of this. Some dogs get really riled up when playing tug, making it difficult for them to stick to the “no biting” rule. If that’s the case for you pup I suggest taking it slow when starting a new game. If you move the tug toy too fast or start make noises you’re dog is more likely to get overly excited. What Are Your Favorite Puppy Training Games? What sort of games do you like to play with puppies? Have you ever played pass the puppy for some extra socialization or hide and seek to work on their recall? Did I miss any of your favorites? Let me know in the comments below.